G-Dragon’s first world tour concert, One Of A Kind back in 2013 has gathered around 28,000 of their Malaysian fans. After years of waiting, the King of K-Pop is back to Malaysia for his second world tour concert, Act III, M.O.T.T.E which is happening this coming 17th September at Stadium Merdeka. Here are some awesome worthy reasons we’ve string together to convince you to be part of the most anticipated K-fever of the season! This handsome lad needs no further introduction. G-Dragon started his career as a singer, rapper and songwriter since the tender age of 5. He debuted as a solo artist since 2009 with the release album Heartbreaker. Soon enough, the man himself rose to stardom and was said to be the most influential icon in music and fashion world. Dare you miss out on this pretty face? With his immense talent, many have likened him to Michael Jackson of our generation. 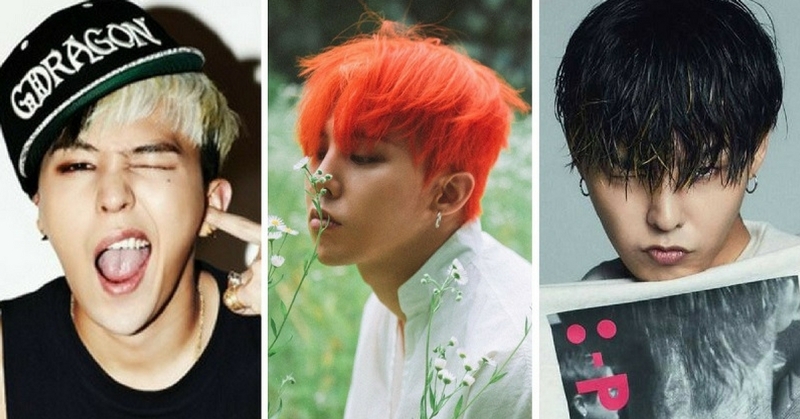 G-Dragon is the source of inspiration to numerous artists around the world, such as Got7’s BamBam, BTS’s Jungkook, Block B’s Zico, Seventeen’s S.Coups, Jaden Smith, and the list goes on. This, we can totally relate! He was known as the “natural-styled chameleon”, thanks to his constant change of hairstyle throughout the year while promoting Heartbreaker. Act III represents the beginning of the third decade of his life, whereas M.O.T.T.E, (or motae) means “mother’s womb” or “from birth” in Korean. Touché! The tour is the largest concert ever done by a Korean artist. The concert will serve as a great platform to promote G-Dragon’s latest album which was released in 2017.